Sometimes you don’t even need a seed to produce a tea plant, in fact it’s very common not to. Instead, you take cuttings from a carefully chosen parent plant. You remove one tea leaf together with a few centimetres of the shoot, and plant the whole thing in compost. The roots then form and the shoot grows into a mature tea plant. 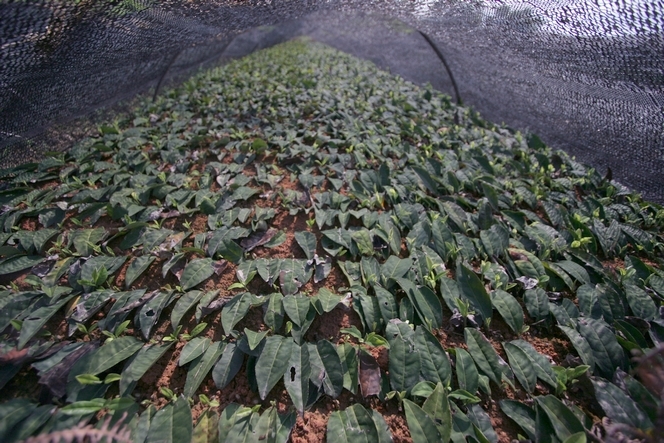 The covered area where these young shoots grow is called a nursery. Photo taken in Darjeeling, India.